Will Adamsdale describes himself, with very British modesty, as “an enthusiastic amateur”. The writer, performer and theatremaker has certainly been eager to embrace new challenges over the years. Having initially trained as an actor, Adamsdale later found himself devising his own shows, as well as increasingly straddling theatre and comedy. More recently, he has also branched out into screen work, taking on roles in the Richard Curtis film The Boat That Rocked and the Channel 4 comedy Campus. “I really enjoy that energy of just trying different stuff,” he says by way of explanation. That character was Chris John Jackson, surreal motivational speaker and star of Jackson’s Way, the show that bagged Adamsdale the Perrier. The “Way” of the title is a programme of impossible, futile actions – trying to make two random words rhyme, or putting your hand in two places at once. 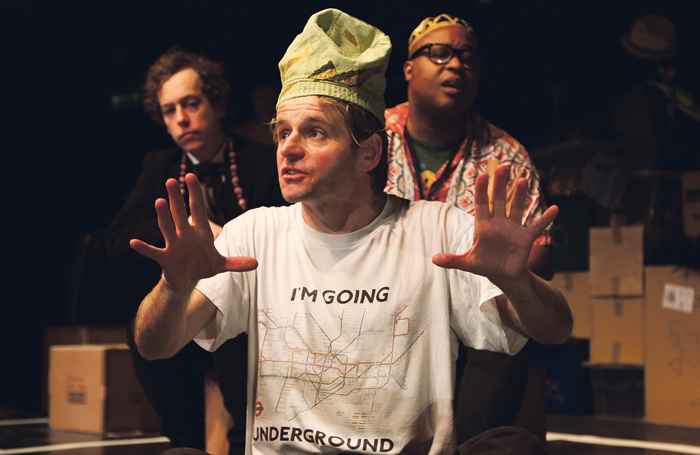 The character of Jackson and his absurd “Jactions” captured audiences’ imaginations and has kept Adamsdale returning to the piece, most recently at the end of last year at Battersea Arts Centre. What was your first non-theatre job? I think it was probably working for six months at Cafe Rouge. What was your first professional theatre job? A Tennessee Williams play called Small Craft Warnings directed by Rufus Norris at the Pleasance, Islington. What is your next job? I’ve got a couple of shows in development. What do you wish someone had told you when you were starting out? It’s all right to make mistakes. That’s how you learn. Who is your biggest influence? The American writer Richard Brautigan and my father, who’s a very to-the-point critic. He’s about as far from a luvvie as you can get. If you hadn’t been a writer and performer, what would you have done? I painted myself into a corner a bit – I don’t have any other skills. I might have tried being an illustrator or something. Do you have any theatrical superstitions? Yeah, loads. So many that I forget what they are. They seem extremely important at the time. I had a superstition about not wearing particular colours of shirt, but then I ran out of all shirts except for the bad luck ones and had to wear them. The show seemed to go alright and that really confused me. Right now I’m developing new superstitions. Adamsdale’s latest project The Joke , devised with Brian Logan and Lloyd Hutchinson, is interested less in characters and more in types. 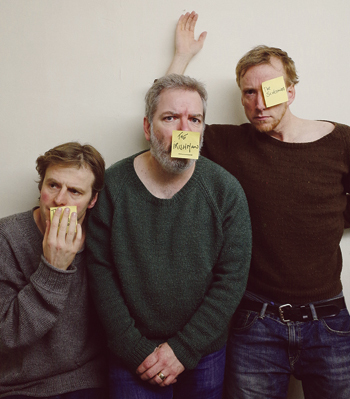 In the show, an Englishman, an Irishman and a Scotsman find themselves trapped inside the narrative of a joke. “They’re just normal people who want to get back to their lives, but they’re in someone else’s bloody joke,” says Adamsdale. He compares the situation – “this can’t happen, but it is” – to the stories of writer Richard Brautigan, one of Adamsdale’s artistic idols. No show of Adamsdale’s has fitted quite so snugly in the overlap between theatre and comedy as The Joke. “It feels like a natural show for me right now: it’s a theatre show about comedy.” Despite so much of his work bleeding between categories, he’s still unsure of how theatre relates to comedy and vice versa.